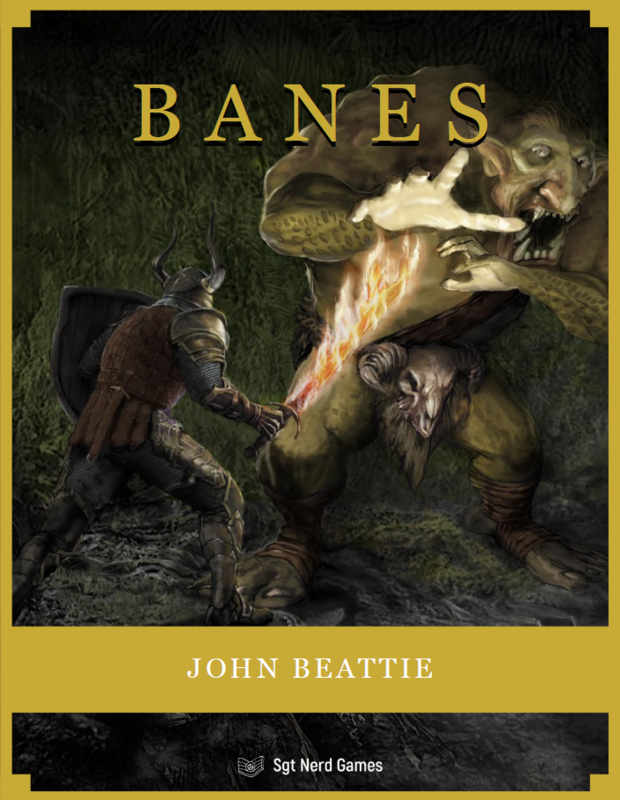 Let’s do a Game Master Toolbox Week, starting with the new release from the ENnie-nominated designer, John Beattie (for Cake Walk). This is a system-agnostic guide to adding vulnerabilities to otherwise nigh-invulnerable and very tough monsters and foes. It’s a way to make combat about figuring out how to take down the baddie by paying attention to clues presented both before and during the combat. This is the kind of thing anyone wanting to run a Supernatural-flavored campaign, where the heroes have to study the Lore to figure out how to win an unwinnable fight, will want in their Toolbox. Changing up weaknesses makes things less predictable, but it’s not enough if the only way to figure them out is random chance. Tease your players’ brains by giving them clues to find the weaknesses. Make it into a puzzle that they and their characters can solve. Turn your fights into a puzzle and give your players something to think about.